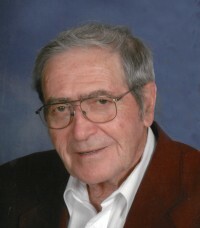 James Milton "Jim" Sharrer 81, of Punxsutawney, formerly of Templeton, PA, passed away on Saturday, March 16, 2019 at St. Andrews Village in Indiana, PA. He was born December 3, 1937, in Templeton, the son of Orris James and Hannah (Craig) Sharrer. Jim graduated from Kittanning High School in 1955. Jim then went to work for Harbison Walker, later Hawk Brothers and Amerikohl. He was a member of Kittanning East Brady Masonic Lodge #244. Jim loved spending time hunting at his family camp "Drag-'Em-In" in Medix Run with his son Jason, Brother Glen and nephews. Jim also enjoyed going to car shows attending fairs and showing quarter horses through the years with his late wife Barbara. He thoroughly enjoyed spending time with his family, including his many step-children. Jim's favorite hobbies included reading and word searches. He will best be remembered for his sense of humor and for being a great listener. Jim leaves behind to cherish his memory two daughters Kimberly Johnston and husband David of Punxsutawney, Kathleen Clawson and husband Roger of Templeton, brother Glen Craig Sharrer and wife Stacy of Ford City, six grandchildren, Emily Bell and husband Travis, Zachary Barrett and fianc� Destiny Shank, Ashley Rahman, Janelle Geer and husband Fred, Dylan Clawson and wife Kristal, Dominic Sharrer, seven great-grandchildren, Jaydyn Blose, Logan Remaley, Aydin Rahman, Nora Geer, Briar Clawson, Ada Clawson, Dominic Sharrer II and numerous nieces and nephews. He also will be missed by his loving schnauzer Maisy. Jim was preceded in death by his parents, his wife Barbara (Ruffner) Sharrer and son Jason W. Sharrer who died on November 23, 2015. Family and friends will be received from 2-4 and 7-9 PM on Tuesday, March 19, 2019, at the Bauer Funeral Home and Cremation Services, 515 N McKean Street, Kittanning, PA, where a masonic service will be held at 6:45 PM. Additional visitation will be from 10 AM until the time of funeral services at 11 AM on Wednesday, March 20, 2019, at the funeral home. To leave an online condolence for Jim's family or view a video tribute honoring his life, visit www.bauerfuneral.com.